Every day Information Technology changes the world around us. Nowadays the Internet has touched upon the all spheres of human activity,one way or another. This is an informational channel, available for millions of people - your potential clients, who can bring you considerable profit. Are your business in progress, or do you want to develop it from scratch? Are you in need of a working site? 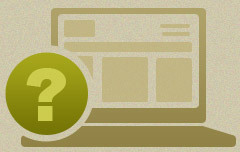 On-line shop or a corporate website, which draws your possible clients' attention? 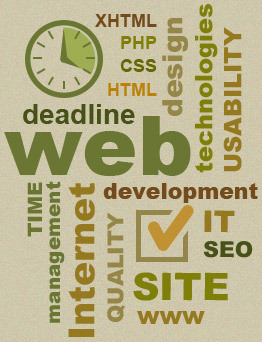 Our main task is to develop quality sites for all comers. We provide our customers with creative design, high quality programming and constant support. We have a lot of things to be proud of! 15 years of programming, over 100 successfully done projects dozens of satisfied clients are the main proof of our diligence and talent. 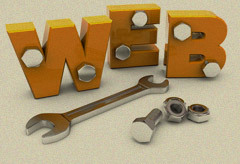 We are working on the Internet projects concerning different target audience. And always strive for success - no matter if it is a city portal or a small on-line shop. Reliability. We guarantee a high standard policy at every level of our collaboration. Honesty and decency. Information about beatom.net studio clients is confidential and never used without client's agreement. Understanding. We meet customer's needs at every stage of the project development and give them overall support. Perfection. New solutions of given tasks, up-to-date style and continuous professional growth of the staff members will let You reach a new level of cooperation with your clients. Quality. We are in charge of our works (even if you find some bugs, they will be fixed at our expense, at any time, despite the delivery date). Meeting the deadline. We will be working 25 hours per day without sleep and breaks, and will keep within the agreed time.